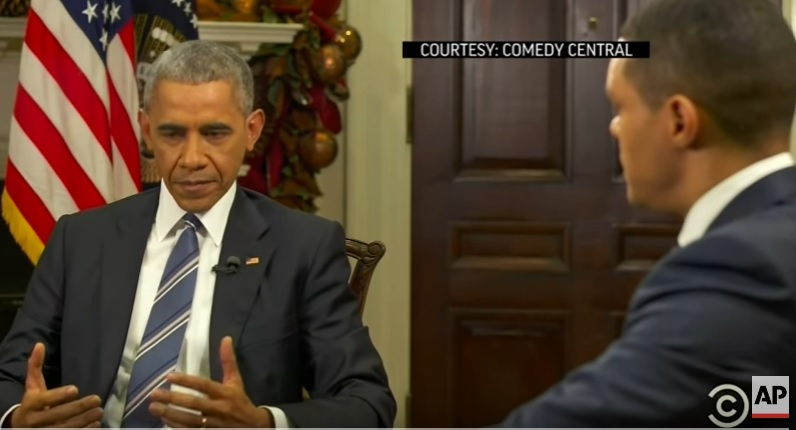 President Obama went on The Daily Show on Monday to lecture racist Americans on Jim Crow and colonialism. He also took a potshot at Donald Trump who announced he would likely prefer just one defense briefing a week. Barack Obama: I think the president-elect may say one thing and do another once he’s here because the truth of the matter is it’s a big complicated world. It doesn’t matter how smart you are you have to have the best information possible to make the best decisions possible. And my experience with our intelligence agencies is that they are not perfect. They are the first to acknowledge that. But they are full hardworking, patriotic and knowledgeable experts. And if you’re not getting their perspective, their detailed perspective, then you are flying blind. A report by Marc Theissen in 2012 alleged Obama skipped more than half of his daily intelligence meetings.